Proprietary Name: Buprenorphine And Naloxone What is the Proprietary Name? Non-Proprietary Name: Buprenorphine And Naloxone What is the Non-Proprietary Name? Buprenorphine And Naloxone with NDC 0378-8767 is a a human prescription drug product labeled by Mylan Pharmaceuticals Inc.. The generic name of Buprenorphine And Naloxone is buprenorphine and naloxone. The product's dosage form is film and is administered via buccal; sublingual form. Dosage Form: Film - A thin layer or coating. DEA Schedule: Schedule III (CIII) Substances What is the Drug Enforcement Administration (DEA) CIII Schedule? The controlled substances in the CIII schedule have an abuse potential and dependence liability less than those in schedules CI and CII, and have an accepted medical use in the United States. Schedule CIII controlled substances include preparations containing limited quantities of certain narcotic drugs, and other nonnarcotic drugs such as: derivatives of barbituric acid, except those that are listed in another schedule, glutethimide (Doriden), methyprylon (Noludar), nalorphine, benzphetamine, chlorphentermine, clortermine, and phendimetrazine. Buccal - Administration directed toward the cheek, generally from within the mouth. 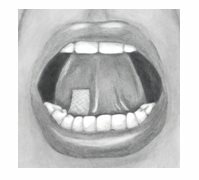 Sublingual - Administration beneath the tongue. FDA Application Number: ANDA207607 What is the FDA Application Number? Why is buprenorphine sublingual and buccal (opioid dependence) medication prescribed? Buprenorphine and naloxone sublingual film is indicated for treatment of opioid dependence. Buprenorphine and naloxone sublingual film should be used as part of a complete treatment plan that includes counseling and psychosocial support. Under the Drug Addiction Treatment Act (DATA) codified at 21 U.S.C. 823(g), prescription use of this product in the treatment of opioid dependence is limited to healthcare providers who meet certain qualifying requirements, and who have notified the Secretary of Health and Human Services (HHS) of their intent to prescribe this product for the treatment of opioid dependence and have been assigned a unique identification number that must be included on every prescription. Buprenorphine and naloxone sublingual film is administered sublingually or buccally as a single daily dose.Medication should be prescribed in consideration of the frequency of visits. Provision of multiple refills is not advised early in treatment or without appropriate patient follow-up visits. Prior to induction, consideration should be given to the type of opioid dependence (i.e., long- or short-acting opioid products), the time since last opioid use, and the degree or level of opioid dependence. Patients dependent on heroin or other short-acting opioid products may be inducted with either buprenorphine and naloxone sublingual film or with sublingual buprenorphine monotherapy. At treatment initiation, the first dose of buprenorphine and naloxone sublingual film should be administered when objective signs of moderate opioid withdrawal appear, not less than six hours after the patient last used opioids.It is recommended that an adequate treatment dose, titrated to clinical effectiveness, be achieved as rapidly as possible. In some studies, a too-gradual induction over several days led to a high rate of drop-out of buprenorphine patients during the induction period.On Day 1, an induction dosage of up to 8 mg/2 mg buprenorphine and naloxone sublingual film is recommended. Clinicians should start with an initial dose of 2 mg/0.5 mg or 4 mg/1 mg buprenorphine and naloxone and may titrate upwards in 2 or 4 mg increments of buprenorphine, at approximately 2-hour intervals, under supervision, to 8 mg/2 mg buprenorphine and naloxone based on the control of acute withdrawal symptoms. On Day 2, a single daily dose of up to 16 mg/4 mg buprenorphine and naloxone sublingual film is recommended. Because the exposure to naloxone is somewhat higher after buccal than after sublingual administration, it is recommended that the sublingual site of administration be used during induction to minimize exposure to naloxone, to reduce the risk of precipitated withdrawal. Patients dependent upon methadone or long-acting opioid products may be more susceptible to precipitated and prolonged withdrawal during induction than those on short-acting opioid products.Buprenorphine and naloxone combination products have not been evaluated in adequate and well-controlled studies for induction in patients who are physically dependent on long-acting opioid products, and the naloxone in these combination products is absorbed in small amounts by the sublingual route and could cause worse precipitated and prolonged withdrawal. For this reason, buprenorphine monotherapy is recommended in patients taking long-acting opioids when used according to approved administration instructions. Following induction, the patient may then be transitioned to once-daily buprenorphine and naloxone sublingual film. •For maintenance, buprenorphine and naloxone sublingual film may be administered buccally or sublingually. •The dosage of buprenorphine and naloxone sublingual film from Day 3 onwards should be progressively adjusted in increments/decrements of 2 mg/0.5 mg or 4 mg/1 mg buprenorphine and naloxone to a level that holds the patient in treatment and suppresses opioid withdrawal signs and symptoms. •After treatment induction and stabilization, the maintenance dose of buprenorphine and naloxone sublingual film is generally in the range of 4 mg/1 mg buprenorphine and naloxone to 24 mg/6 mg buprenorphine and naloxone per day depending on the individual patient and clinical response. The recommended target dosage of buprenorphine and naloxone sublingual film during maintenance is 16 mg/4 mg buprenorphine and naloxone/day as a single daily dose. Dosages higher than 24 mg/6 mg daily have not been demonstrated to provide a clinical advantage. •When determining the prescription quantity for unsupervised administration, consider the patient’s level of stability, the security of his or her home situation, and other factors likely to affect the ability to manage supplies of take-home medication. •There is no maximum recommended duration of maintenance treatment. Patients may require treatment indefinitely and should continue for as long as patients are benefiting and the use of buprenorphine and naloxone sublingual film contributes to the intended treatment goals. Buprenorphine and naloxone sublingual film must be administered whole. Do not cut, chew, or swallow buprenorphine and naloxone sublingual film. Advise patients not to eat or drink anything until the film is completely dissolved. Place one film under the tongue, close to the base on the left or right side. If an additional film is necessary to achieve the prescribed dose, place an additional film sublingually on the opposite side from the first film. Place the film in a manner to minimize overlapping as much as possible. The film must be kept under the tongue until the film is completely dissolved. If a third film is necessary to achieve the prescribed dose, place it under the tongue on either side after the first 2 films have dissolved. 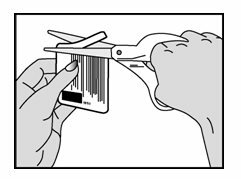 Place one film on the inside of the right or left cheek. If an additional film is necessary to achieve the prescribed dose, place an additional film on the inside of the opposite cheek. The film must be kept on the inside of the cheek until the film is completely dissolved. If a third film is necessary to achieve the prescribed dose, place it on the inside of the right or left cheek after the first two films have dissolved.Buprenorphine and naloxone sublingual film should NOT be moved after placement. To ensure consistency in bioavailability, patients should follow the same manner of dosing with continued use of the product. Proper administration technique should be demonstrated to the patient. Treatment should be initiated with supervised administration, progressing to unsupervised administration as the patient’s clinical stability permits. Buprenorphine and naloxone sublingual film is subject to diversion and abuse. When determining the prescription quantity for unsupervised administration, consider the patient’s level of stability, the security of his or her home situation, and other factors likely to affect the ability to manage supplies of take-home medication.Ideally patients should be seen at reasonable intervals (e.g., at least weekly during the first month of treatment) based upon the individual circumstances of the patient. Medication should be prescribed in consideration of the frequency of visits. Provision of multiple refills is not advised early in treatment or without appropriate patient follow-up visits. Periodic assessment is necessary to determine compliance with the dosing regimen, effectiveness of the treatment plan, and overall patient progress.Once a stable dosage has been achieved and patient assessment (e.g., urine drug screening) does not indicate illicit drug use, less frequent follow-up visits may be appropriate. A once-monthly visit schedule may be reasonable for patients on a stable dosage of medication who are making progress toward their treatment objectives. Continuation or modification of pharmacotherapy should be based on the healthcare provider’s evaluation of treatment outcomes and objectives such as:1.Absence of medication toxicity.2.Absence of medical or behavioral adverse effects.3.Responsible handling of medications by the patient.4.Patient’s compliance with all elements of the treatment plan (including recovery-oriented activities, psychotherapy, and/or other psychosocial modalities).5.Abstinence from illicit drug use (including problematic alcohol and/or benzodiazepine use).If treatment goals are not being achieved, the healthcare provider should re-evaluate the appropriateness of continuing the current treatment. Healthcare providers will need to decide when they cannot appropriately provide further management for particular patients. For example, some patients may be abusing or dependent on various drugs, or unresponsive to psychosocial intervention such that the healthcare provider does not feel that he/she has the expertise to manage the patient. In such cases, the healthcare provider may want to assess whether to refer the patient to a specialist or more intensive behavioral treatment environment. Decisions should be based on a treatment plan established and agreed upon with the patient at the beginning of treatment.Patients who continue to misuse, abuse, or divert buprenorphine products or other opioids should be provided with, or referred to, more intensive and structured treatment. The decision to discontinue therapy with buprenorphine and naloxone sublingual film after a period of maintenance should be made as part of a comprehensive treatment plan. Advise patients of the potential to relapse to illicit drug use following discontinuation of opioid agonist/partial agonist medication-assisted treatment. Taper patients to reduce the occurrence of opioid withdrawal signs and symptoms [see Warnings and Precautions (5.7)]. Patients being switched between buprenorphine and naloxone or buprenorphine only sublingual tablets and buprenorphine and naloxone sublingual film should be started on the same dosage of the previously administered product. However, dosage adjustments may be necessary when switching between buprenorphine products. Not all strengths and combinations of the buprenorphine and naloxone sublingual films are bioequivalent to buprenorphine and naloxone sublingual tablets as observed in pharmacokinetic studies [see Clinical Pharmacology (12.3)]. Therefore, systemic exposures of buprenorphine and naloxone may be different when patients are switched from tablets to film or vice-versa. Patients should be monitored for symptoms related to over-dosing or under-dosing. The systemic exposure of buprenorphine between buccal and sublingual administration of buprenorphine and naloxone sublingual film is similar. Therefore, once induction is complete, patients can switch between buccal and sublingual administration without significant risk of under or overdosing. Buprenorphine and naloxone sublingual film are available in child resistant polyester/foil laminated pouches containing 8.62 mg or 12.9 mg of buprenorphine HCl, USP equivalent to 8 mg or 12 mg of buprenorphine free base, respectively, and 2.44 mg or 3.66 mg of naloxone HCl, USP dihydrate equivalent to 2 mg or 3 mg of naloxone free base, respectively, providing for the following combinations: 8 mg/2 mg or 12 mg/3 mg. •The 8 mg/2 mg buprenorphine and naloxone sublingual film is an orange rectangular film printed in white with “B8/N”. Each film is contained in a square, flat pouch that is imprinted with lot number and expiration date. •The 12 mg/3 mg buprenorphine and naloxone sublingual film is an orange rectangular film printed in white with “B12/N”. Each film is contained in a square, flat pouch that is imprinted with lot number and expiration date. 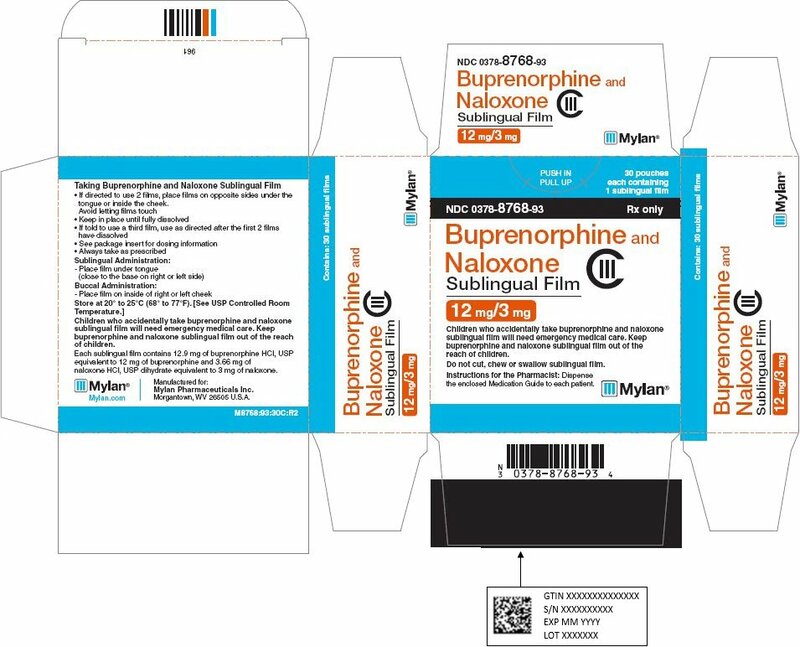 Buprenorphine and naloxone sublingual film is contraindicated in patients with a history of hypersensitivity to buprenorphine or naloxone as serious adverse reactions, including anaphylactic shock, have been reported [see Warnings and Precautions (5.9)]. Buprenorphine and naloxone sublingual film contains buprenorphine, a schedule III controlled substance that can be abused in a manner similar to other opioids, legal or illicit. Prescribe and dispense buprenorphine with appropriate precautions to minimize risk of misuse, abuse, or diversion, and ensure appropriate protection from theft, including in the home. Clinical monitoring appropriate to the patient’s level of stability is essential. Multiple refills should not be prescribed early in treatment or without appropriate patient follow-up visits [see Drug Abuse and Dependence (9.2)]. Buprenorphine has been associated with life-threatening respiratory depression and death. Many, but not all, post-marketing reports regarding coma and death involved misuse by self-injection or were associated with the concomitant use of buprenorphine and benzodiazepines or other CNS depressants, including alcohol. Warn patients of the potential danger of self-administration of benzodiazepines or other CNS depressants while under treatment with buprenorphine and naloxone sublingual film [see Warnings and Precautions (5.3), Drug Interactions (7)].Use buprenorphine and naloxone sublingual film with caution in patients with compromised respiratory function (e.g., chronic obstructive pulmonary disease, cor pulmonale, decreased respiratory reserve, hypoxia, hypercapnia, or pre-existing respiratory depression). Concomitant use of buprenorphine and benzodiazepines or other CNS depressants increases the risk of adverse reactions including overdose and death. Medication-assisted treatment of opioid use disorder, however, should not be categorically denied to patients taking these drugs. Prohibiting or creating barriers to treatment can pose an even greater risk of morbidity and mortality due to the opioid use disorder alone. As a routine part of orientation to buprenorphine treatment, educate patients about the risks of concomitant use of benzodiazepines, sedatives, opioid analgesics, and alcohol.Develop strategies to manage use of prescribed or illicit benzodiazepines or other CNS depressants at initiation of buprenorphine treatment, or if it emerges as a concern during treatment. Adjustments to induction procedures and additional monitoring may be required. There is no evidence to support dose limitations or arbitrary caps of buprenorphine as a strategy to address benzodiazepine use in buprenorphine-treated patients. However, if a patient is sedated at the time of buprenorphine dosing, delay or omit the buprenorphine dose if appropriate.Cessation of benzodiazepines or other CNS depressants is preferred in most cases of concomitant use. In some cases, monitoring in a higher level of care for taper may be appropriate. In others, gradually tapering a patient off of a prescribed benzodiazepine or other CNS depressant or decreasing to the lowest effective dose may be appropriate.For patients in buprenorphine treatment, benzodiazepines are not the treatment of choice for anxiety or insomnia. Before co-prescribing benzodiazepines, ensure that patients are appropriately diagnosed and consider alternative medications and non-pharmacologic treatments to address anxiety or insomnia. Ensure that other healthcare providers prescribing benzodiazepines or other CNS depressants are aware of the patient’s buprenorphine treatment and coordinate care to minimize the risks associated with concomitant use.In addition, take measures to confirm that patients are taking their medications as prescribed and are not diverting or supplementing with illicit drugs. Toxicology screening should test for prescribed and illicit benzodiazepines [see Drug Interactions (7)]. Buprenorphine can cause severe, possibly fatal, respiratory depression in children who are accidentally exposed to it. Store buprenorphine-containing medications safely out of the sight and reach of children and destroy any unused medication appropriately [see Patient Counseling Information (17)]. Neonatal opioid withdrawal syndrome (NOWS) is an expected and treatable outcome of prolonged use of opioids during pregnancy, whether that use is medically-authorized or illicit. Unlike opioid withdrawal syndrome in adults, NOWS may be life-threatening if not recognized and treated in the neonate. Healthcare professionals should observe newborns for signs of NOWS and manage accordingly [see Use in Specific Populations (8.1)].Advise pregnant women receiving opioid addiction treatment with buprenorphine and naloxone sublingual film of the risk of neonatal opioid withdrawal syndrome and ensure that appropriate treatment will be available [see Use in Specific Populations (8.1)]. This risk must be balanced against the risk of untreated opioid addiction which often results in continued or relapsing illicit opioid use and is associated with poor pregnancy outcomes. Therefore, prescribers should discuss the importance and benefits of management of opioid addiction throughout pregnancy. Buprenorphine is a partial agonist at the mu-opioid receptor and chronic administration produces physical dependence of the opioid type, characterized by withdrawal signs and symptoms upon abrupt discontinuation or rapid taper. The withdrawal syndrome is typically milder than seen with full agonists and may be delayed in onset [see Drug Abuse and Dependence (9.3)]. When discontinuing buprenorphine and naloxone sublingual film, gradually taper the dosage [see Dosage and Administration (2.8)]. Cases of cytolytic hepatitis and hepatitis with jaundice have been observed in individuals receiving buprenorphine in clinical trials and through post-marketing adverse event reports. The spectrum of abnormalities ranges from transient asymptomatic elevations in hepatic transaminases to case reports of death, hepatic failure, hepatic necrosis, hepatorenal syndrome, and hepatic encephalopathy. In many cases, the presence of pre-existing liver enzyme abnormalities, infection with hepatitis B or hepatitis C virus, concomitant usage of other potentially hepatotoxic drugs, and ongoing injecting drug use may have played a causative or contributory role. In other cases, insufficient data were available to determine the etiology of the abnormality. Withdrawal of buprenorphine has resulted in amelioration of acute hepatitis in some cases; however, in other cases no dose reduction was necessary. The possibility exists that buprenorphine had a causative or contributory role in the development of the hepatic abnormality in some cases. Liver function tests, prior to initiation of treatment, are recommended to establish a baseline. Periodic monitoring of liver function during treatment is also recommended. A biological and etiological evaluation is recommended when a hepatic event is suspected. Depending on the case, buprenorphine and naloxone sublingual film may need to be carefully discontinued to prevent withdrawal signs and symptoms and a return by the patient to illicit drug use, and strict monitoring of the patient should be initiated. Cases of hypersensitivity to buprenorphine and naloxone containing products have been reported both in clinical trials and in the post-marketing experience. Cases of bronchospasm, angioneurotic edema, and anaphylactic shock have been reported. The most common signs and symptoms include rashes, hives, and pruritus. A history of hypersensitivity to buprenorphine or naloxone is a contraindication to the use of buprenorphine and naloxone sublingual film. Because it contains naloxone, buprenorphine and naloxone sublingual film is likely to produce withdrawal signs and symptoms if misused parenterally by individuals dependent on full opioid agonists such as heroin, morphine, or methadone. Because of the partial agonist properties of buprenorphine, buprenorphine and naloxone sublingual film may precipitate opioid withdrawal signs and symptoms in such persons if administered before the agonist effects of the opioid have subsided. There have been reported deaths of opioid-naïve individuals who received a 2 mg dose of buprenorphine as a sublingual tablet for analgesia. Buprenorphine and naloxone sublingual film is not appropriate as an analgesic. Buprenorphine and naloxone products are not recommended in patients with severe hepatic impairment and may not be appropriate for patients with moderate hepatic impairment. The doses of buprenorphine and naloxone in this fixed-dose combination product cannot be individually titrated, and hepatic impairment results in a reduced clearance of naloxone to a much greater extent than buprenorphine. Therefore, patients with severe hepatic impairment will be exposed to substantially higher levels of naloxone than patients with normal hepatic function. This may result in an increased risk of precipitated withdrawal at the beginning of treatment (induction) and may interfere with buprenorphine’s efficacy throughout treatment. In patients with moderate hepatic impairment, the differential reduction of naloxone clearance compared to buprenorphine clearance is not as great as in subjects with severe hepatic impairment. However, buprenorphine and naloxone products are not recommended for initiation of treatment (induction) in patients with moderate hepatic impairment due to the increased risk of precipitated withdrawal. Buprenorphine and naloxone products may be used with caution for maintenance treatment in patients with moderate hepatic impairment who have initiated treatment on a buprenorphine product without naloxone. However, patients should be carefully monitored and consideration given to the possibility of naloxone interfering with buprenorphine’s efficacy [see Use in Specific Populations (8.6)]. Buprenorphine and naloxone sublingual film may impair the mental or physical abilities required for the performance of potentially dangerous tasks such as driving a car or operating machinery, especially during treatment induction and dose adjustment. Caution patients about driving or operating hazardous machinery until they are reasonably certain that buprenorphine and naloxone sublingual film therapy does not adversely affect his or her ability to engage in such activities. Like other opioids, buprenorphine and naloxone sublingual film may produce orthostatic hypotension in ambulatory patients. Buprenorphine, like other opioids, may elevate cerebrospinal fluid pressure and should be used with caution in patients with head injury, intracranial lesions, and other circumstances when cerebrospinal pressure may be increased. Buprenorphine can produce miosis and changes in the level of consciousness that may interfere with patient evaluation. Buprenorphine has been shown to increase intracholedochal pressure, as do other opioids, and thus should be administered with caution to patients with dysfunction of the biliary tract. As with other opioids, buprenorphine may obscure the diagnosis or clinical course of patients with acute abdominal conditions. Because clinical trials are conducted under widely varying conditions, adverse reaction rates observed in the clinical trials of a drug cannot be directly compared to rates in the clinical trials of another drug and may not reflect the rates observed in practice.The safety of buprenorphine and naloxone sublingual film is supported by clinical trials using buprenorphine sublingual tablets and buprenorphine and naloxone sublingual tablets, and other trials using buprenorphine sublingual solutions, as well as an open-label study in 194 patients treated with buprenorphine and naloxone sublingual film administered sublingually and 188 patients treated with the film administered buccally. In total, safety data from clinical studies are available from over 3000 opioid-dependent subjects exposed to buprenorphine at doses in the range used in the treatment of opioid dependence. Few differences in the adverse event profile were noted with regard to sublingually and buccally administered buprenorphine and naloxone sublingual film, buprenorphine and naloxone sublingual tablets, buprenorphine sublingual tablets and a buprenorphine ethanolic sublingual solution.The most common adverse event (> 1%) associated with the sublingual administration of the buprenorphine and naloxone sublingual film was oral hypoesthesia. Other adverse events were constipation, glossodynia, oral mucosal erythema, vomiting, intoxication, disturbance in attention, palpitations, insomnia, withdrawal syndrome, hyperhidrosis, and blurred vision.The most common adverse events associated with the buccal administration were similar to those observed with sublingual administration of the film.Other adverse event data were derived from larger, controlled studies of buprenorphine and naloxone sublingual tablets and buprenorphine sublingual tablets and of buprenorphine sublingual solution. In a comparative study of buprenorphine and naloxone sublingual tablets and buprenorphine sublingual tablets, adverse event profiles were similar for subjects treated with 16 mg/4 mg buprenorphine and naloxone sublingual tablets or 16 mg buprenorphine sublingual tablets. The following adverse events were reported to occur by at least 5% of patients in a 4 week study of buprenorphine and naloxone sublingual tablets and buprenorphine sublingual tablets.Table 2. Adverse Events (≥ 5%) by Body System and Treatment Group in a 4 Week StudyAbbreviations: COSTART = Coding Symbols for Thesaurus of Adverse Reaction Terms.Body System/ Adverse Event (COSTART Terminology) Buprenorphine and Naloxone Sublingual Tablets 16 mg/4 mg/dayN = 107 n (%)Buprenorphine Sublingual Tablets16 mg/dayN = 103 n (%)PlaceboN = 107 n (%)Body as a WholeAsthenia7 (6.5%)5 (4.9%)7 (6.5%)Chills8 (7.5%)8 (7.8%)8 (7.5%)Headache39 (36.4%)30 (29.1%)24 (22.4%)Infection6 (5.6%)12 (11.7%)7 (6.5%)Pain24 (22.4%)19 (18.4%)20 (18.7%)Pain abdomen12 (11.2%)12 (11.7%)7 (6.5%)Pain back4 (3.7%)8 (7.8%)12 (11.2%)Withdrawal syndrome27 (25.2%)19 (18.4%)40 (37.4%)Cardiovascular SystemVasodilation10 (9.3%)4 (3.9%)7 (6.5%)Digestive SystemConstipation13 (12.1%)8 (7.8%)3 (2.8%)Diarrhea4 (3.7%)5 (4.9%)16 (15.0%)Nausea16 (15.0%)14 (13.6%) 12 (11.2%)Vomiting8 (7.5%)8 (7.8%)5 (4.7%)Nervous SystemInsomnia15 (14.0%)22 (21.4%)17 (15.9%)Respiratory SystemRhinitis5 (4.7%)10 (9.7%)14 (13.1%)Skin And AppendagesSweating15 (14.0%)13 (12.6%)11 (10.3%)The adverse event profile of buprenorphine was also characterized in the dose-controlled study of a buprenorphine ethanolic solution, over a range of doses in four months of treatment. Table 3 shows adverse events reported by at least 5% of subjects in any dose group in the dose-controlled trial.Table 3. Adverse Events (≥ 5%) by Body System and Treatment Group in a 16 Week StudyBody System/ Adverse Event(COSTART Terminology)Buprenorphine DoseVery LowSublingual solution. Doses in this table cannot necessarily be delivered in tablet form, but for comparison purposes:“Very low” dose (1 mg solution) would be less than a tablet dose of 2 mg“Low” dose (4 mg solution) approximates a 6 mg tablet dose“Moderate” dose (8 mg solution) approximates a 12 mg tablet dose“High” dose (16 mg solution) approximates a 24 mg tablet doseN = 184n (%)LowN = 180n (%)ModerateN = 186n (%)HighN = 181n (%)TotalN = 731n (%)Body as a WholeAbscess9 (5%)2 (1%)3 (2%)2 (1%)16 (2%)Asthenia26 (14%)28 (16%)26 (14%)24 (13%)104 (14%)Chills11 (6%)12 (7%)9 (5%)10 (6%)42 (6%)Fever7 (4%)2 (1%)2 (1%)10 (6%)21 (3%)Flu syndrome4 (2%)13 (7%)19 (10%)8 (4%)44 (6%)Headache51 (28%)62 (34%)54 (29%)53 (29%)220 (30%)Infection32 (17%)39 (22%)38 (20%)40 (22%)149 (20%)Injury accidental5 (3%)10 (6%)5 (3%)5 (3%)25 (3%)Pain47 (26%)37 (21%)49 (26%)44 (24%)177 (24%)Pain back18 (10%)29 (16%)28 (15%)27 (15%)102 (14%)Withdrawal syndrome45 (24%)40 (22%)41 (22%)36 (20%)162 (22%)Digestive SystemConstipation10 (5%)23 (13%)23 (12%)26 (14%)82 (11%)Diarrhea19 (10%)8 (4%)9 (5%)4 (2%)40 (5%)Dyspepsia6 (3%)10 (6%)4 (2%)4 (2%)24 (3%)Nausea12 (7%)22 (12%)23 (12%)18 (10%)75 (10%)Vomiting8 (4%)6 (3%)10 (5%)14 (8%)38 (5%)Nervous SystemAnxiety22 (12%)24 (13%)20 (11%)25 (14%)91 (12%)Depression24 (13%)16 (9%)25 (13%)18 (10%)83 (11%)Dizziness4 (2%)9 (5%)7 (4%)11 (6%)31 (4%)Insomnia42 (23%)50 (28%)43 (23%)51 (28%)186 (25%)Nervousness 12 (7%)11 (6%)10 (5%)13 (7%)46 (6%)Somnolence5 (3%)13 (7%)9 (5%)11 (6%)38 (5%)Respiratory SystemCough increase5 (3%)11 (6%)6 (3%)4 (2%)26 (4%)Pharyngitis6 (3%)7 (4%)6 (3%)9 (5%)28 (4%)Rhinitis27 (15%)16 (9%)15 (8%)21 (12%)79 (11%)Skin and AppendagesSweat23 (13%)21 (12%)20 (11%)23 (13%)87 (12%)Special SensesRunny eyes13 (7%)9 (5%)6 (3%)6 (3%)34 (5%)The safety of buprenorphine and naloxone sublingual film during treatment induction is supported by a clinical trial using 16 patients treated with buprenorphine and naloxone sublingual film and 18 treated with a buprenorphine-only sublingual film. Few differences in the adverse event profiles were noted between buprenorphine and naloxone sublingual film and the buprenorphine-only sublingual film.The most common adverse event occurring during treatment induction and the 3 days following induction using buprenorphine and naloxone sublingual film was restlessness. Other adverse events were anxiety, piloerection, stomach discomfort, irritability, headache, rhinorrhea, cold sweat, arthralgia, and lacrimation increased. Four subjects left the study early on the first day of sublingual film administration. However, there was no evidence to suggest that any of the four subjects experienced precipitated withdrawal secondary to the administration of buprenorphine or buprenorphine and naloxone sublingual films. The following adverse reactions have been identified during post-approval use of buprenorphine and naloxone sublingual film. Because these reactions are reported voluntarily from a population of uncertain size, it is not always possible to reliably estimate their frequency or establish a causal relationship to drug exposure.The most frequently reported postmarketing adverse events were peripheral edema, stomatitis, glossitis, and blistering and ulceration of the mouth or tongue. Cases of serotonin syndrome, a potentially life-threatening condition, have been reported during concomitant use of opioids with serotonergic drugs. Cases of adrenal insufficiency have been reported with opioid use, more often following greater than one month of use. Anaphylaxis has been reported with ingredients contained in buprenorphine and naloxone sublingual film. Cases of androgen deficiency have occurred with chronic use of opioids [see Clinical Pharmacology (12.2)]. Table 4 Includes clinically significant drug interactions with buprenorphine and naloxone sublingual film.Table 4. Clinically Significant Drug InteractionsBenzodiazepines and Other Central Nervous System (CNS) DepressantsClinical Impact:Due to additive pharmacologic effects, the concomitant use of benzodiazepines or other CNS depressants, including alcohol, increases the risk of respiratory depression, profound sedation, coma, and death.Intervention:Cessation of benzodiazepines or other CNS depressants is preferred in most cases of concomitant use. In some cases, monitoring in a higher level of care for taper may be appropriate. In others, gradually tapering a patient off of a prescribed benzodiazepine or other CNS depressant or decreasing to the lowest effective dose may be appropriate. Before co-prescribing benzodiazepines for anxiety or insomnia, ensure that patients are appropriately diagnosed and consider alternative medications and non-pharmacologic treatments [see Warnings and Precautions (5.2, 5.3)].Examples:Alcohol, non-benzodiazepine sedatives/hypnotics, anxiolytics, tranquilizers, muscle relaxants, general anesthetics, antipsychotics, and other opioids.Inhibitors of CYP3A4Clinical Impact:The concomitant use of buprenorphine and CYP3A4 inhibitors can increase the plasma concentration of buprenorphine, resulting in increased or prolonged opioid effects, particularly when an inhibitor is added after a stable dose of buprenorphine and naloxone sublingual film is achieved. After stopping a CYP3A4 inhibitor, as the effects of the inhibitor decline, the buprenorphine plasma concentration will decrease [see Clinical Pharmacology (12.3)], potentially resulting in decreased opioid efficacy or a withdrawal syndrome in patients who had developed physical dependence to buprenorphine.Intervention:If concomitant use is necessary, consider dosage reduction of buprenorphine and naloxone sublingual film until stable drug effects are achieved. Monitor patients for respiratory depression and sedation at frequent intervals. If a CYP3A4 inhibitor is discontinued, consider increasing the buprenorphine and naloxone sublingual film dosage until stable drug effects are achieved. Monitor for signs of opioid withdrawal.Examples:Macrolide antibiotics (e.g., erythromycin), azole-antifungal agents (e.g., ketoconazole), protease inhibitors (e.g., ritonavir)CYP3A4 InducersClinical Impact:The concomitant use of buprenorphine and CYP3A4 inducers can decrease the plasma concentration of buprenorphine [see Clinical Pharmacology (12.3)], potentially resulting in decreased efficacy or onset of a withdrawal syndrome in patients who have developed physical dependence to buprenorphine. After stopping a CYP3A4 inducer, as the effects of the inducer decline, the buprenorphine plasma concentration will increase [see Clinical Pharmacology (12.3)], which could increase or prolong both therapeutic effects and adverse reactions and may cause serious respiratory depression.Intervention:If concomitant use is necessary, consider increasing the buprenorphine and naloxone sublingual film dosage until stable drug effects are achieved. Monitor for signs of opioid withdrawal. If a CYP3A4 inducer is discontinued, consider buprenorphine and naloxone sublingual film dosage reduction and monitor for signs of respiratory depression.Examples:Rifampin, carbamazepine, phenytoinAntiretrovirals: Non-nucleoside reverse transcriptase inhibitors (NNRTIs)Clinical Impact:Non-nucleoside reverse transcriptase inhibitors (NNRTIs) are metabolized principally by CYP3A4. Efavirenz, nevirapine, and etravirine are known CYP3A inducers, whereas delavirdine is a CYP3A inhibitor. Significant pharmacokinetic interactions between NNRTIs (e.g., efavirenz and delavirdine) and buprenorphine have been shown in clinical studies, but these pharmacokinetic interactions did not result in any significant pharmacodynamic effects.Intervention:Patients who are on chronic buprenorphine and naloxone sublingual film treatment should have their dose monitored if NNRTIs are added to their treatment regimen.Examples:efavirenz, nevirapine, etravirine, delavirdineAntiretrovirals: Protease inhibitors (PIs)Clinical Impact:Studies have shown some antiretroviral protease inhibitors (PIs) with CYP3A4 inhibitory activity (nelfinavir, lopinavir/ritonavir, ritonavir) have little effect on buprenorphine pharmacokinetic and no significant pharmacodynamic effects. Other PIs with CYP3A4 inhibitory activity (atazanavir and atazanavir/ritonavir) resulted in elevated levels of buprenorphine and norbuprenorphine, and patients in one study reported increased sedation. Symptoms of opioid excess have been found in post-marketing reports of patients receiving buprenorphine and atazanavir with and without ritonavir concomitantly.Intervention:Monitor patients taking buprenorphine and naloxone sublingual film and atazanavir with and without ritonavir, and reduce dose of buprenorphine and naloxone sublingual film if warranted.Examples:atazanavir, ritonavirAntiretrovirals: Nucleoside reverse transcriptase inhibitors (NRTIs)Clinical Impact:Nucleoside reverse transcriptase inhibitors (NRTIs) do not appear to induce or inhibit the P450 enzyme pathway, thus no interactions with buprenorphine are expected.Intervention:NoneSerotonergic DrugsClinical Impact:The concomitant use of opioids with other drugs that affect the serotonergic neurotransmitter system has resulted in serotonin syndrome.Intervention:If concomitant use is warranted, carefully observe the patient, particularly during treatment initiation and dose adjustment. Discontinue buprenorphine and naloxone sublingual film if serotonin syndrome is suspected.Examples:Selective serotonin reuptake inhibitors (SSRIs), serotonin and norepinephrine reuptake inhibitors (SNRIs), tricyclic antidepressants (TCAs), triptans, 5-HT3 receptor antagonists, drugs that affect the serotonin neurotransmitter system (e.g., mirtazapine, trazodone, tramadol), monoamine oxidase (MAO) inhibitors (those intended to treat psychiatric disorders and also others, such as linezolid and intravenous methylene blue).Monoamine Oxidase Inhibitors (MAOIs)Clinical Impact:MAOI interactions with opioids may manifest as serotonin syndrome or opioid toxicity (e.g., respiratory depression, coma).Intervention:The use of buprenorphine and naloxone sublingual film is not recommended for patients taking MAOIs or within 14 days of stopping such treatment.Examples:phenelzine, tranylcypromine, linezolidMuscle RelaxantsClinical Impact:Buprenorphine may enhance the neuromuscular blocking action of skeletal muscle relaxants and produce an increased degree of respiratory depression.Intervention:Monitor patients receiving muscle relaxants and buprenorphine and naloxone sublingual film for signs of respiratory depression that may be greater than otherwise expected and decrease the dosage of buprenorphine and naloxone sublingual film and/or the muscle relaxant as necessary.DiureticsClinical Impact:Opioids can reduce the efficacy of diuretics by inducing the release of antidiuretic hormone.Intervention:Monitor patients for signs of diminished diuresis and/or effects on blood pressure and increase the dosage of the diuretic as needed.Anticholinergic DrugsClinical Impact:The concomitant use of anticholinergic drugs may increase the risk of urinary retention and/or severe constipation, which may lead to paralytic ileus.Intervention:Monitor patients for signs of urinary retention or reduced gastric motility when buprenorphine and naloxone sublingual film is used concomitantly with anticholinergic drugs. The data on use of buprenorphine, one of the active ingredients in buprenorphine and naloxone sublingual film, in pregnancy, are limited; however, these data do not indicate an increased risk of major malformations specifically due to buprenorphine exposure. There are limited data from randomized clinical trials in women maintained on buprenorphine that were not designed appropriately to assess the risk of major malformations [see Data]. Observational studies have reported on congenital malformations among buprenorphine-exposed pregnancies, but were also not designed appropriately to assess the risk of congenital malformations specifically due to buprenorphine exposure [see Data]. The extremely limited data on sublingual naloxone exposure in pregnancy are not sufficient to evaluate a drug-associated risk.Reproductive and developmental studies in rats and rabbits identified adverse events at clinically relevant and higher doses. Embryofetal death was observed in both rats and rabbits administered buprenorphine during the period of organogenesis at doses approximately 6 and 0.3 times, respectively, the human sublingual dose of 16 mg/day of buprenorphine. Pre- and postnatal development studies in rats demonstrated increased neonatal deaths at 0.3 times and above and dystocia at approximately 3 times the human sublingual dose of 16 mg/day of buprenorphine. No clear teratogenic effects were seen when buprenorphine was administered during organogenesis with a range of doses equivalent to or greater than the human sublingual dose of 16 mg/day of buprenorphine. However, increases in skeletal abnormalities were noted in rats and rabbits administered buprenorphine daily during organogenesis at doses approximately 0.6 and approximately equal to the human sublingual dose of 16 mg/day of buprenorphine, respectively. In a few studies, some events such as acephalus and omphalocele were also observed but these findings were not clearly treatment-related [see Data]. Based on animal data, advise pregnant women of the potential risk to a fetus.The estimated background risk of major birth defects and miscarriage for the indicated population are unknown. All pregnancies have a background risk of birth defect, loss, or other adverse outcomes. In the U.S. general population, the estimated background risk of major birth defects and miscarriage in clinically recognized pregnancies is 2 to 4% and 15 to 20%, respectively. Based on two studies in 13 lactating women maintained on buprenorphine treatment, buprenorphine and its metabolite norbuprenorphine were present in low levels in human milk and infant urine. Available data have not shown adverse reactions in breastfed infants. There are no data on the combination product buprenorphine and naloxone in breastfeeding, however oral absorption of naloxone is limited. The developmental and health benefits of breastfeeding should be considered along with the mother’s clinical need for buprenorphine and naloxone sublingual film and any potential adverse effects on the breastfed child from the drug or from the underlying maternal condition. Untreated opioid addiction in pregnancy is associated with adverse obstetrical outcomes such as low birth weight, preterm birth, and fetal death. In addition, untreated opioid addiction often results in continued or relapsing illicit opioid use. Dosage adjustments of buprenorphine may be required during pregnancy, even if the patient was maintained on a stable dose prior to pregnancy. Withdrawal signs and symptoms should be monitored closely and the dose adjusted as necessary. Neonatal opioid withdrawal syndrome may occur in newborn infants of mothers who are receiving treatment with buprenorphine and naloxone sublingual film.Neonatal opioid withdrawal syndrome presents as irritability, hyperactivity and abnormal sleep pattern, high pitched cry, tremor, vomiting, diarrhea, and/or failure to gain weight. Signs of neonatal withdrawal usually occur in the first days after birth. The duration and severity of neonatal opioid withdrawal syndrome may vary. Observe newborns for signs of neonatal opioid withdrawal syndrome and manage accordingly [see Warnings and Precautions (5.5)]. Opioid-dependent women on buprenorphine maintenance therapy may require additional analgesia during labor. Studies have been conducted to evaluate neonatal outcomes in women exposed to buprenorphine during pregnancy. Limited data on malformations from trials, observational studies, case series, and case reports on buprenorphine use in pregnancy do not indicate an increased risk of major malformations specifically due to buprenorphine. Several factors may complicate the interpretation of investigations of the children of women who take buprenorphine during pregnancy, including maternal use of illicit drugs, late presentation for prenatal care, infection, poor compliance, poor nutrition, and psychosocial circumstances. Interpretation of data is complicated further by the lack of information on untreated opioid-dependent pregnant women, who would be the most appropriate group for comparison. Rather, women on another form of opioid medication-assisted treatment, or women in the general population are generally used as the comparison group. However, women in these comparison groups may be different from women prescribed buprenorphine-containing products with respect to maternal factors that may lead to poor pregnancy outcomes.In a multicenter, double-blind, randomized, controlled trial [Maternal Opioid Treatment: Human Experimental Research (MOTHER)] designed primarily to assess neonatal opioid withdrawal effects, opioid-dependent pregnant women were randomized to buprenorphine (n = 86) or methadone (n = 89) treatment, with enrollment at an average gestational age of 18.7 weeks in both groups. A total of 28 of the 86 women in the buprenorphine group (33%) and 16 of the 89 women in the methadone group (18%) discontinued treatment before the end of pregnancy.Among women who remained in treatment until delivery, there was no difference between buprenorphine-treated and methadone-treated groups in the number of neonates requiring NOWS treatment or in the peak severity of NOWS. Buprenorphine-exposed neonates required less morphine (mean total dose, 1.1 mg vs. 10.4 mg), had shorter hospital stays (10.0 days vs. 17.5 days), and shorter duration of treatment for NOWS (4.1 days vs. 9.9 days) compared to the methadone-exposed group. There were no differences between groups in other primary outcomes (neonatal head circumference,) or secondary outcomes (weight and length at birth, preterm birth, gestational age at delivery, and 1-minute and 5-minute Apgar scores), or in the rates of maternal or neonatal adverse events. The outcomes among mothers who discontinued treatment before delivery and may have relapsed to illicit opioid use are not known. Because of the imbalance in discontinuation rates between the buprenorphine and methadone groups, the study findings are difficult to interpret. The exposure margins listed below are based on body surface area comparisons (mg/m2) to the human sublingual dose of 16 mg buprenorphine via buprenorphine and naloxone sublingual tablets.Effects on embryo-fetal development were studied in Sprague-Dawley rats and Russian white rabbits following oral (1:1) and intramuscular (IM) (3:2) administration of mixtures of buprenorphine and naloxone during the period of organogenesis. Following oral administration to rats no teratogenic effects were observed at buprenorphine doses up to 250 mg/kg/day (estimated exposure approximately 150 times the human sublingual dose of 16 mg) in the presence of maternal toxicity (mortality). Following oral administration to rabbits, no teratogenic effects were observed at buprenorphine doses up to 40 mg/kg/day (estimated exposure approximately 50 times, the human sublingual dose of 16 mg) in the absence of clear maternal toxicity.No definitive drug-related teratogenic effects were observed in rats and rabbits at IM doses up to 30 mg/kg/day (estimated exposure approximately 20 times and 35 times, respectively, the human sublingual dose of 16 mg). Maternal toxicity resulting in mortality was noted in these studies in both rats and rabbits. Acephalus was observed in one rabbit fetus from the low-dose group and omphalocele was observed in two rabbit fetuses from the same litter in the mid-dose group; no findings were observed in fetuses from the high-dose group. Maternal toxicity was seen in the high-dose group but not at the lower doses where the findings were observed. Following oral administration of buprenorphine to rats, dose-related post-implantation losses, evidenced by increases in the numbers of early resorptions with consequent reductions in the numbers of fetuses, were observed at doses of 10 mg/kg/day or greater (estimated exposure approximately 6 times the human sublingual dose of 16 mg). In the rabbit, increased post-implantation losses occurred at an oral dose of 40 mg/kg/day. Following IM administration in the rat and the rabbit, post-implantation losses, as evidenced by decreases in live fetuses and increases in resorptions, occurred at 30 mg/kg/day.Buprenorphine was not teratogenic in rats or rabbits after IM or subcutaneous (SC) doses up to 5 mg/kg/day (estimated exposure was approximately 3 and 6 times, respectively, the human sublingual dose of 16 mg), after IV doses up to 0.8 mg/kg/day (estimated exposure was approximately 0.5 times and equal to, respectively, the human sublingual dose of 16 mg), or after oral doses up to 160 mg/kg/day in rats (estimated exposure was approximately 95 times the human sublingual dose of 16 mg) and 25 mg/kg/day in rabbits (estimated exposure was approximately 30 times the human daily sublingual dose of 16 mg). Significant increases in skeletal abnormalities (e.g., extra thoracic vertebra or thoraco-lumbar ribs) were noted in rats after SC administration of 1 mg/kg/day and up (estimated exposure was approximately 0.6 times the human sublingual dose of 16 mg), but were not observed at oral doses up to 160 mg/kg/day. Increases in skeletal abnormalities in rabbits after IM administration of 5 mg/kg/day (estimated exposure was approximately 6 times the human daily sublingual dose of 16 mg) in the absence of maternal toxicity or oral administration of 1 mg/kg/day or greater (estimated exposure was approximately equal to the human sublingual dose of 16 mg) were not statistically significant.In rabbits, buprenorphine produced statistically significant pre-implantation losses at oral doses of 1 mg/kg/day or greater and post-implantation losses that were statistically significant at IV doses of 0.2 mg/kg/day or greater (estimated exposure approximately 0.3 times the human daily sublingual dose of 16 mg). No maternal toxicity was noted at doses causing post-implantation loss in this study.Dystocia was noted in pregnant rats treated intramuscularly with buprenorphine from Gestation Day 14 through Lactation Day 21 at 5 mg/kg/day (approximately 3 times the human sublingual dose of 16 mg). Fertility, pre- and post-natal development studies with buprenorphine in rats indicated increases in neonatal mortality after oral doses of 0.8 mg/kg/day and up (approximately 0.5 times the human daily sublingual dose of 16 mg), after IM doses of 0.5 mg/kg/day and up (approximately 0.3 times the human sublingual dose of 16 mg), and after SC doses of 0.1 mg/kg/day and up (approximately 0.06 times the human sublingual dose of 16 mg). An apparent lack of milk production during these studies likely contributed to the decreased pup viability and lactation indices. Delays in the occurrence of righting reflex and startle response were noted in rat pups at an oral dose of 80 mg/kg/day (approximately 50 times the human sublingual dose of 16 mg). Advise breastfeeding women taking buprenorphine products to monitor the infant for increased drowsiness and breathing difficulties. Data were consistent from two studies (N = 13) of breastfeeding infants whose mothers were maintained on sublingual doses of buprenorphine ranging from 2.4 to 24 mg/day, showing that the infants were exposed to less than 1% of the maternal daily dose.In a study of six lactating women who were taking a median sublingual buprenorphine dose of 0.29 mg/kg/day 5 to 8 days after delivery, breast milk provided a median infant dose of 0.42 mcg/kg/day of buprenorphine and 0.33 mcg/kg/day of norbuprenorphine, equal to 0.2% and 0.12%, respectively, of the maternal weight-adjusted dose (relative dose/kg (%) of norbuprenorphine was calculated from the assumption that buprenorphine and norbuprenorphine are equipotent). Data from a study of seven lactating women who were taking a median sublingual buprenorphine dose of 7 mg/day an average of 1.12 months after delivery indicated that the mean milk concentrations (Cavg) of buprenorphine and norbuprenorphine were 3.65 mcg/L and 1.94 mcg/L respectively. Based on the study data, and assuming milk consumption of 150 mL/kg/day, an exclusively breastfed infant would receive an estimated mean absolute infant dose (AID) of 0.55 mcg/kg/day of buprenorphine and 0.29 mcg/kg/day of norbuprenorphine, or a mean relative infant dose (RID) of 0.38% and 0.18%, respectively, of the maternal weight-adjusted dose. Chronic use of opioids may cause reduced fertility in females and males of reproductive potential. It is not known whether these effects on fertility are reversible [see Adverse Reactions (6.2), Clinical Pharmacology (12.2), Nonclinical Toxicology (13.1)]. The safety and effectiveness of buprenorphine and naloxone sublingual film have not been established in pediatric patients. This product is not appropriate for the treatment of neonatal abstinence syndrome in neonates, because it contains naloxone, an opioid antagonist. Clinical studies of buprenorphine and naloxone sublingual film, buprenorphine and naloxone sublingual tablets, or buprenorphine sublingual tablets did not include sufficient numbers of subjects aged 65 and over to determine whether they responded differently than younger subjects. Other reported clinical experience has not identified differences in responses between the elderly and younger patients. Due to possible decreased hepatic, renal, or cardiac function and of concomitant disease or other drug therapy in geriatric patients, the decision to prescribe buprenorphine and naloxone sublingual film should be made cautiously in individuals 65 years of age or older and these patients should be monitored for signs and symptoms of toxicity or overdose. The effect of hepatic impairment on the pharmacokinetics of buprenorphine and naloxone has been evaluated in a pharmacokinetic study. Both drugs are extensively metabolized in the liver. While no clinically significant changes have been observed in subjects with mild hepatic impairment; the plasma levels have been shown to be higher and half-life values have been shown to be longer for both buprenorphine and naloxone in subjects with moderate and severe hepatic impairment. The magnitude of the effects on naloxone are greater than that on buprenorphine in both moderately and severely impaired subjects. The difference in magnitude of the effects on naloxone and buprenorphine are greater in subjects with severe hepatic impairment than in subjects with moderate hepatic impairment, and therefore the clinical impact of these effects is likely to be greater in patients with severe hepatic impairment than in patients with moderate hepatic impairment. Buprenorphine and naloxone products should be avoided in patients with severe hepatic impairment and may not be appropriate for patients with moderate hepatic impairment [see Warnings and Precautions (5.12), Clinical Pharmacology (12.3)]. No differences in buprenorphine pharmacokinetics were observed between 9 dialysis-dependent and 6 normal patients following IV administration of 0.3 mg buprenorphine. The effects of renal failure on naloxone pharmacokinetics are unknown. 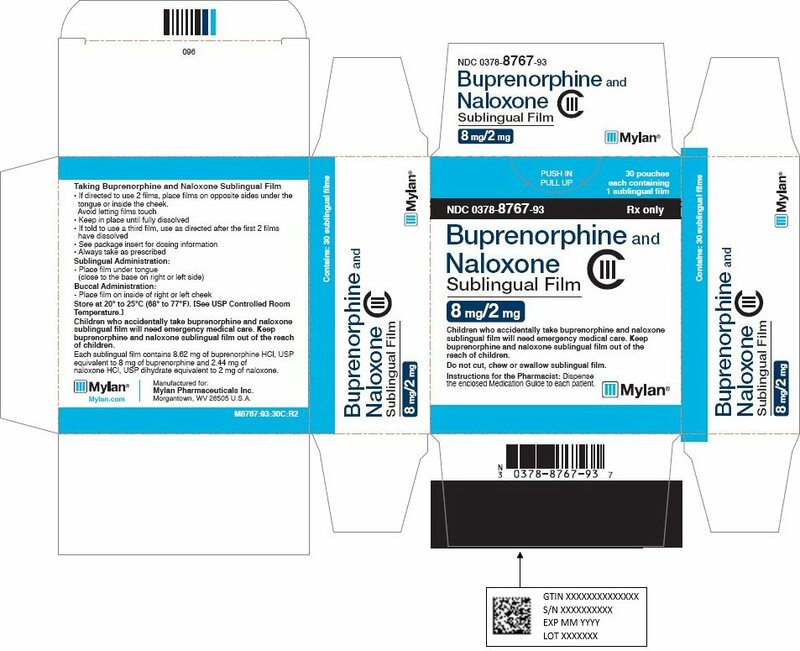 Buprenorphine and naloxone sublingual film contains buprenorphine, a Schedule III controlled substance under the Controlled Substances Act.Under the Drug Addiction Treatment Act (DATA) codified at 21 U.S.C. 823(g), prescription use of this product in the treatment of opioid dependence is limited to healthcare providers who meet certain qualifying requirements, and who have notified the Secretary of Health and Human Services (HHS) of their intent to prescribe this product for the treatment of opioid dependence and have been assigned a unique identification number that must be included on every prescription. Buprenorphine, like morphine and other opioids, has the potential for being abused and is subject to criminal diversion. This should be considered when prescribing or dispensing buprenorphine in situations when the clinician is concerned about an increased risk of misuse, abuse, or diversion. Healthcare professionals should contact their state professional licensing board or state controlled substances authority for information on how to prevent and detect abuse or diversion of this product.Patients who continue to misuse, abuse, or divert buprenorphine products or other opioids should be provided with or referred for more intensive and structured treatment.Abuse of buprenorphine poses a risk of overdose and death. This risk is increased with the abuse of buprenorphine and alcohol and other substances, especially benzodiazepines.The healthcare provider may be able to more easily detect misuse or diversion by maintaining records of medication prescribed including date, dose, quantity, frequency of refills, and renewal requests of medication prescribed.Proper assessment of the patient, proper prescribing practices, periodic re-evaluation of therapy, and proper handling and storage of the medication are appropriate measures that help to limit abuse of opioid drugs. Buprenorphine is a partial agonist at the mu-opioid receptor and chronic administration produces physical dependence of the opioid type, characterized by moderate withdrawal signs and symptoms upon abrupt discontinuation or rapid taper. The withdrawal syndrome is typically milder than seen with full agonists and may be delayed in onset [see Warnings and Precautions (5.7)].Neonatal opioid withdrawal syndrome (NOWS) is an expected and treatable outcome of prolonged use of opioids during pregnancy [see Warnings and Precautions (5.5)]. Clinical Presentation: The manifestations of acute overdose include pinpoint pupils, sedation, hypotension, respiratory depression, and death.Treatment of Overdose: In the event of overdose, the respiratory and cardiac status of the patient should be monitored carefully. When respiratory or cardiac functions are depressed, primary attention should be given to the re-establishment of adequate respiratory exchange through provision of a patent airway and institution of assisted or controlled ventilation. Oxygen, IV fluids, vasopressors, and other supportive measures should be employed as indicated.In the case of overdose, the primary management should be the re-establishment of adequate ventilation with mechanical assistance of respiration, if required. Naloxone may be of value for the management of buprenorphine overdose. Higher than normal doses and repeated administration may be necessary. The long duration of action of buprenorphine and naloxone sublingual film should be taken into consideration when determining the length of treatment and medical surveillance needed to reverse the effects of an overdose. Insufficient duration of monitoring may put patients at risk. Buprenorphine and naloxone sublingual film is an orange film, printed with white ink identifying the product and strength. It contains buprenorphine HCl, a mu-opioid receptor partial agonist, and a kappa-opioid receptor antagonist, and naloxone HCl dihydrate, an opioid antagonist, at a ratio of 4:1 (ratio of free bases). It is intended for sublingual or buccal administration and is available in two dosage strengths, 8 mg buprenorphine with 2 mg naloxone and 12 mg buprenorphine with 3 mg naloxone. Each film also contains polyethylene oxide, polyethylene glycol, hypromellose, maltitol, acesulfame potassium, lemon-lime flavor, citric acid anhydrous, trisodium citrate dihydrate, FD&C Yellow No. 6, and white ink. In addition, the white imprinting ink contains titanium dioxide and hypromellose.Chemically, buprenorphine HCl is 6,14-Ethenomorphinan-7-methanol, 17-(cyclopropyl-methyl)-α-(1,1-dimethylethyl)-4,5-epoxy-18,19-dihydro-3-hydroxy-6-methoxy-α-methyl-, hydrochloride, [5α,7α(S)]-. It has the following chemical structure:Buprenorphine HCl, USP has the molecular formula C29H41NO4 • HCl and the molecular weight is 504.1 g/mol. It is a white or off-white crystalline powder, sparingly soluble in water, freely soluble in methanol, soluble in alcohol, and practically insoluble in cyclohexane.Chemically, naloxone HCl dihydrate is 17-Allyl-4,5α-epoxy-3,14-dihydroxymorphinan-6-one hydrochloride dihydrate. It has the following chemical structure:Naloxone contains four chiral centers (*)Naloxone hydrochloride, USP dihydrate has the molecular formula C19H21NO4 • HCl • 2H2O and the molecular weight is 399.9 g/mol. It is a white to slightly off-white powder and is freely soluble in water, soluble in alcohol, and practically insoluble in toluene and ether. Buprenorphine and naloxone sublingual film contains buprenorphine and naloxone. Buprenorphine is a partial agonist at the mu-opioid receptor and an antagonist at the kappa-opioid receptor. Naloxone is a potent antagonist at mu-opioid receptors and produces opioid withdrawal signs and symptoms in individuals physically dependent on full opioid agonists when administered parenterally. Comparisons of buprenorphine to full opioid agonists such as methadone and hydromorphone suggest that sublingual buprenorphine produces typical opioid agonist effects which are limited by a ceiling effect.In opioid-experienced subjects who were not physically dependent, acute sublingual doses of buprenorphine and naloxone tablets produced opioid agonist effects which reached a maximum between doses of 8 mg/2 mg and 16 mg/4 mg buprenorphine and naloxone.Opioid agonist ceiling-effects were also observed in a double-blind, parallel group, dose-ranging comparison of single doses of buprenorphine sublingual solution (1, 2, 4, 8, 16, or 32 mg), placebo and a full agonist control at various doses. The treatments were given in ascending dose order at intervals of at least one week to 16 opioid-experienced subjects who were not physically dependent. Both active drugs produced typical opioid agonist effects. For all measures for which the drugs produced an effect, buprenorphine produced a dose-related response. However, in each case, there was a dose that produced no further effect. In contrast, the highest dose of the full agonist control always produced the greatest effects. Agonist objective rating scores remained elevated for the higher doses of buprenorphine (8 mg to 32 mg) longer than for the lower doses and did not return to baseline until 48 hours after drug administration. The onset of effects appeared more rapidly with buprenorphine than with the full agonist control, with most doses nearing peak effect after 100 minutes for buprenorphine compared to 150 minutes for the full agonist control. Buprenorphine in IV (2, 4, 8, 12 and 16 mg) and sublingual (12 mg) doses has been administered to opioid-experienced subjects who were not physically dependent to examine cardiovascular, respiratory, and subjective effects at doses comparable to those used for treatment of opioid dependence. Compared to placebo, there were no statistically significant differences among any of the treatment conditions for blood pressure, heart rate, respiratory rate, O2 saturation, or skin temperature across time. Systolic BP was higher in the 8 mg group than placebo (3 hour AUC values). Minimum and maximum effects were similar across all treatments. Subjects remained responsive to low voice and responded to computer prompts. Some subjects showed irritability, but no other changes were observed.The respiratory effects of sublingual buprenorphine were compared with the effects of methadone in a double-blind, parallel group, dose ranging comparison of single doses of buprenorphine sublingual solution (1, 2, 4, 8, 16, or 32 mg) and oral methadone (15, 30, 45, or 60 mg) in non-dependent, opioid-experienced volunteers. In this study, hypoventilation not requiring medical intervention was reported more frequently after buprenorphine doses of 4 mg and higher than after methadone. Both drugs decreased O2 saturation to the same degree. Physiologic and subjective effects following acute sublingual administration of buprenorphine tablets and buprenorphine and naloxone tablets were similar at equivalent dose levels of buprenorphine. Naloxone had no clinically significant effect when administered by the sublingual route, although blood levels of the drug were measurable. Buprenorphine and naloxone, when administered sublingually to an opioid-dependent cohort, was recognized as an opioid agonist, whereas when administered intramuscularly, combinations of buprenorphine with naloxone produced opioid antagonist actions similar to naloxone. This finding suggests that the naloxone in buprenorphine and naloxone tablets may deter injection of buprenorphine and naloxone tablets by persons with active substantial heroin or other full mu-opioid dependence. However, clinicians should be aware that some opioid-dependent persons, particularly those with a low level of full mu-opioid physical dependence or those whose opioid physical dependence is predominantly to buprenorphine, abuse buprenorphine and naloxone combinations by the intravenous or intranasal route. In methadone-maintained patients and heroin-dependent subjects, IV administration of buprenorphine and naloxone combinations precipitated opioid withdrawal signs and symptoms and was perceived as unpleasant and dysphoric. In morphine-stabilized subjects, intravenously administered combinations of buprenorphine with naloxone produced opioid antagonist and withdrawal signs and symptoms that were ratio-dependent; the most intense withdrawal signs and symptoms were produced by 2:1 and 4:1 ratios, less intense by an 8:1 ratio. Opioids inhibit the secretion of adrenocorticotropic hormone (ACTH), cortisol, and luteinizing hormone (LH) in humans [see Adverse Reactions (6.2)]. They also stimulate prolactin, growth hormone (GH) secretion, and pancreatic secretion of insulin and glucagon.Chronic use of opioids may influence the hypothalamic-pituitary-gonadal axis, leading to androgen deficiency that may manifest as low libido, impotence, erectile dysfunction, amenorrhea, or infertility. The causal role of opioids in the clinical syndrome of hypogonadism is unknown because the various medical, physical, lifestyle, and psychological stressors that may influence gonadal hormone levels have not been adequately controlled for in studies conducted to date. Patients presenting with symptoms of androgen deficiency should undergo laboratory evaluation. Buprenorphine is approximately 96% protein bound, primarily to alpha and beta globulin. Naloxone is approximately 45% protein bound, primarily to albumin. Buprenorphine is metabolized and eliminated in urine and feces. Naloxone undergoes metabolism as well. When buprenorphine and naloxone sublingual film is administered sublingually or buccally, buprenorphine has a mean elimination half-life ranging from 24 to 42 hours and naloxone has a mean elimination half-life ranging from 2 to 12 hours. Buprenorphine undergoes both N-dealkylation to norbuprenorphine and glucuronidation. The N-dealkylation pathway is mediated primarily by the CYP3A4. Norbuprenorphine, the major metabolite, can further undergo glucuronidation. Norbuprenorphine has been found to bind opioid receptors in vitro; however, it has not been studied clinically for opioid-like activity. Naloxone undergoes direct glucuronidation to naloxone-3-glucuronide as well as N-dealkylation, and reduction of the 6-oxo group. A mass balance study of buprenorphine showed complete recovery of radiolabel in urine (30%) and feces (69%) collected up to 11 days after dosing. Almost all of the dose was accounted for in terms of buprenorphine, norbuprenorphine, and two unidentified buprenorphine metabolites. In urine, most of buprenorphine and norbuprenorphine was conjugated (buprenorphine, 1% free and 9.4% conjugated; norbuprenorphine, 2.7% free and 11% conjugated). In feces, almost all of the buprenorphine and norbuprenorphine were free (buprenorphine, 33% free and 5% conjugated; norbuprenorphine, 21% free and 2% conjugated). Based on all studies performed with sublingually and buccally administered buprenorphine and naloxone sublingual film, buprenorphine has a mean elimination half-life from plasma ranging from 24 to 42 hours and naloxone has a mean elimination half-life from plasma ranging from 2 to 12 hours. 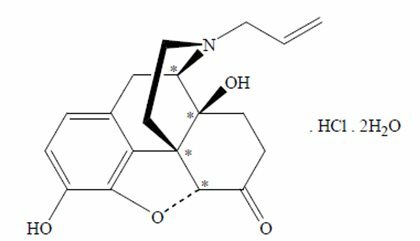 Buprenorphine has been found to be a CYP2D6 and CYP3A4 inhibitor and its major metabolite, norbuprenorphine, has been found to be a moderate CYP2D6 inhibitor in in vitro studies employing human liver microsomes. However, the relatively low plasma concentrations of buprenorphine and norbuprenorphine resulting from therapeutic doses are not expected to raise significant drug-drug interaction concerns [see Drug Interactions (7)]. In a pharmacokinetic study, the disposition of buprenorphine and naloxone were determined after administering a 2 mg/0.5 mg buprenorphine and naloxone sublingual tablet in subjects with varied degrees of hepatic impairment as indicated by Child-Pugh criteria. The disposition of buprenorphine and naloxone in patients with hepatic impairment were compared to disposition in subjects with normal hepatic function.In subjects with mild hepatic impairment, the changes in mean Cmax, AUC0-last, and half-life values of both buprenorphine and naloxone were not clinically significant. No dosing adjustment is needed in patients with mild hepatic impairment. For subjects with moderate and severe hepatic impairment, mean Cmax, AUC0-last, and half-life values of both buprenorphine and naloxone were increased; the effects on naloxone are greater than that on buprenorphine (Table 6).Table 6. Changes in Pharmacokinetic Parameters in Subjects With Moderate and Severe Hepatic ImpairmentHepatic ImpairmentPK ParametersIncrease in buprenorphine compared to healthy subjectsIncrease in naloxone compared to healthy subjectsModerateCmax8%170%AUC0-last64%218%Half-life35%165%SevereCmax72%1030%AUC0-last181%1302%Half-life57%122%The difference in magnitude of the effects on naloxone and buprenorphine are greater in subjects with severe hepatic impairment than subjects with moderate hepatic impairment [see Warnings and Precautions (5.12), Use in Specific Populations (8.6)]. In subjects with HCV infection but no sign of hepatic impairment, the changes in the mean Cmax, AUC0-last, and half-life values of buprenorphine and naloxone were not clinically significant in comparison to healthy subjects without HCV infection. Carcinogenicity data on buprenorphine and naloxone sublingual film are not available.A carcinogenicity study of buprenorphine and naloxone (4:1 ratio of the free bases) was performed in Alderley Park rats. Buprenorphine and naloxone was administered in the diet at doses of approximately 7, 31, and 123 mg/kg/day for 104 weeks (estimated exposure was approximately 4, 18, and 44 times the recommended human sublingual dose of 16 mg/4 mg buprenorphine and naloxone based on buprenorphine AUC comparisons). A statistically significant increase in Leydig cell adenomas was observed in all dose groups. No other drug-related tumors were noted.Carcinogenicity studies of buprenorphine were conducted in Sprague-Dawley rats and CD-1 mice. Buprenorphine was administered in the diet to rats at doses of 0.6, 5.5, and 56 mg/kg/day (estimated exposure was approximately 0.4, 3, and 35 times the recommended human daily sublingual dose of 16 mg on a mg/m2 basis) for 27 months. As in the buprenorphine and naloxone carcinogenicity study in rats, statistically significant dose-related increases in Leydig cell tumors occurred. In an 86 week study in CD-1 mice, buprenorphine was not carcinogenic at dietary doses up to 100 mg/kg/day (estimated exposure was approximately 30 times the recommended human daily sublingual dose of 16 mg on a mg/m2 basis). The 4:1 combination of buprenorphine and naloxone was not mutagenic in a bacterial mutation assay (Ames test) using four strains of S. typhimurium and two strains of E. coli. The combination was not clastogenic in an in vitro cytogenetic assay in human lymphocytes or in an IV micronucleus test in the rat.Buprenorphine was studied in a series of tests utilizing gene, chromosome, and DNA interactions in both prokaryotic and eukaryotic systems. Results were negative in yeast (S. cerevisiae) for recombinant, gene convertant, or forward mutations; negative in Bacillus subtilis “rec” assay, negative for clastogenicity in CHO cells, Chinese hamster bone marrow and spermatogonia cells, and negative in the mouse lymphoma L5178Y assay.Results were equivocal in the Ames test: negative in studies in two laboratories, but positive for frame shift mutation at a high dose (5 mg/plate) in a third study. Results were positive in the Green-Tweets (E. coli) survival test, positive in a DNA synthesis inhibition (DSI) test with testicular tissue from mice, for both in vivo and in vitro incorporation of [3H]thymidine, and positive in unscheduled DNA synthesis (UDS) test using testicular cells from mice. Dietary administration of buprenorphine in the rat at dose levels of 500 ppm or greater (equivalent to approximately 47 mg/kg/day or greater; estimated exposure approximately 28 times the recommended human daily sublingual dose of 16 mg on a mg/m2 basis) produced a reduction in fertility demonstrated by reduced female conception rates. A dietary dose of 100 ppm (equivalent to approximately 10 mg/kg/day; estimated exposure approximately 6 times the recommended human daily sublingual dose of 16 mg on a mg/m2 basis) had no adverse effect on fertility. Buprenorphine and Naloxone Sublingual Film are available in child resistant polyester/foil laminated pouches containing 8.62 mg or 12.9 mg of buprenorphine hydrochloride, USP equivalent to 8 mg or 12 mg of buprenorphine free base, respectively, and 2.44 mg or 3.66 mg of naloxone hydrochloride, USP dihydrate equivalent to 2 mg or 3 mg of naloxone free base, respectively, providing for the following combinations: 8 mg/2 mg or 12 mg/3 mg.The 8 mg/2 mg buprenorphine and naloxone sublingual film is an orange rectangular film printed in white with “B8/N”. Each film is contained in a square, flat pouch that is imprinted with lot number and expiration date. They are available as follows:NDC 0378-8767-93carton containing 30 sublingual filmsThe 12 mg/3 mg buprenorphine and naloxone sublingual film is an orange rectangular film printed in white with “B12/N”. Each film is contained in a square, flat pouch that is imprinted with lot number and expiration date. They are available as follows:NDC 0378-8768-93carton containing 30 sublingual filmsStore at 20° to 25°C (68° to 77°F). [See USP Controlled Room Temperature. ]Advise patients to store buprenorphine-containing medications safely and out of sight and reach of children and to destroy any unused medication appropriately [see Patient Counseling Information (17)].PHARMACIST: Dispense a Medication Guide with each prescription. Advise patients to read the FDA-approved patient labeling (Medication Guide).Safe UseBefore initiating treatment with buprenorphine and naloxone sublingual film, explain the points listed below to caregivers and patients. Instruct patients to read the Medication Guide each time buprenorphine and naloxone sublingual film is dispensed because new information may be available. •Buprenorphine and naloxone sublingual film must be administered whole. Advise patients not to cut, chew, or swallow buprenorphine and naloxone sublingual film. •Inform patients and caregivers that potentially fatal additive effects may occur if buprenorphine and naloxone sublingual film is used with benzodiazepines or other CNS depressants, including alcohol. Counsel patients that such medications should not be used concomitantly unless supervised by a healthcare provider [see Warnings and Precautions (5.2, 5.3), Drug Interactions (7)]. •Advise patients that buprenorphine and naloxone sublingual film contains an opioid that can be a target for people who abuse prescription medications or street drugs. Caution patients to keep their films in a safe place, and to protect them from theft. •Instruct patients to keep buprenorphine and naloxone sublingual film in a secure place, out of the sight and reach of children. Accidental or deliberate ingestion by a child may cause respiratory depression that can result in death. Advise patients to seek medical attention immediately if a child is exposed to buprenorphine and naloxone sublingual film. •Inform patients that opioids could cause a rare but potentially life-threatening condition resulting from concomitant administration of serotonergic drugs. Warn patients of the symptoms of serotonin syndrome and to seek medical attention right away if symptoms develop. Instruct patients to inform their healthcare providers if they are taking, or plan to take serotonergic medications [see Drug Interactions (7)]. •Inform patients that opioids could cause adrenal insufficiency, a potentially life-threatening condition. Adrenal insufficiency may present with non-specific symptoms and signs such as nausea, vomiting, anorexia, fatigue, weakness, dizziness, and low blood pressure. Advise patients to seek medical attention if they experience a constellation of these symptoms [see Warnings and Precautions (5.6)]. •Advise patients to never give buprenorphine and naloxone sublingual film to anyone else, even if he or she has the same signs and symptoms. It may cause harm or death. •Advise patients that selling or giving away this medication is against the law. •Caution patients that buprenorphine and naloxone sublingual film may impair the mental or physical abilities required for the performance of potentially dangerous tasks such as driving or operating machinery. Caution should be taken especially during drug induction and dose adjustment and until individuals are reasonably certain that buprenorphine therapy does not adversely affect their ability to engage in such activities [see Warnings and Precautions (5.13)]. •Advise patients not to change the dosage of buprenorphine and naloxone sublingual film without consulting their healthcare provider. •Advise patients to take buprenorphine and naloxone sublingual film once a day. •Advise patients that if they miss a dose of buprenorphine and naloxone sublingual film they should take it as soon as they remember. If it is almost time for the next dose, they should skip the missed dose and take the next dose at the regular time. •Inform patients that buprenorphine and naloxone sublingual film can cause drug dependence and that withdrawal signs and symptoms may occur when the medication is discontinued. •Advise patients seeking to discontinue treatment with buprenorphine for opioid dependence to work closely with their healthcare provider on a tapering schedule and inform them of the potential to relapse to illicit drug use associated with discontinuation of opioid agonist/partial agonist medication-assisted treatment. •Advise patients that, like other opioids, buprenorphine and naloxone sublingual film may produce orthostatic hypotension in ambulatory individuals [see Warnings and Precautions (5.14)]. •Advise patients to inform their healthcare provider if any other prescription medications, over-the-counter medications, or herbal preparations are prescribed or currently being used [see Drug Interactions (7)]. •Advise women that if they are pregnant while being treated with buprenorphine and naloxone sublingual film, the baby may have signs of withdrawal at birth and that withdrawal is treatable [see Warnings and Precautions (5.5), Use in Specific Populations (8.1)]. •Advise women who are breastfeeding to monitor the infant for drowsiness and difficulty breathing [see Use in Specific Populations (8.2)]. •Inform patients that chronic use of opioids may cause reduced fertility. It is not known whether these effects on fertility are reversible [see Use in Specific Populations (8.3)]. •Advise patients to inform their family members that, in the event of emergency, the treating healthcare provider or emergency room staff should be informed that the patient is physically dependent on an opioid and that the patient is being treated with buprenorphine and naloxone sublingual film.Disposal of Unused Buprenorphine and Naloxone Sublingual FilmsUnused buprenorphine and naloxone sublingual films should be disposed of as soon as they are no longer needed. Unused films should be flushed down the toilet.